Yoichi Wada(和田 洋一,Wada Yōichi) (born May 28, 1959 in Nagoya, Japan) is a former president and representative director of the Japanese video game and publishing company Square Enix as well as its subsidiary Taito. He is also the former chairman of the Computer Entertainment Supplier's Association (CESA), the former chairman of the Digital Content Use Promotion Conference, former president of Shinra Technologies and a former member of Japanese Brand and Contents Council. Nagoya (名古屋) is the largest city in the Chūbu region of Japan. It is Japan's fourth-largest incorporated city and the third-most-populous urban area. It is located on the Pacific coast on central Honshu. It is the capital of Aichi Prefecture and is one of Japan's major ports along with those of Tokyo, Osaka, Kobe, Yokohama, Chiba, and Kitakyushu. It is also the center of Japan's third-largest metropolitan region, known as the Chūkyō metropolitan area. As of 2015, 2.28 million people lived in the city, part of Chūkyō Metropolitan Area's 10.11 million people. It is also one of the 50 largest urban areas in the world. He is a current outside director of Metaps. Computer Entertainment Supplier's Association (CESA) is a Japanese organization that was established in 1996 to "promote the computer entertainment industry [...] with the aim of contributing to the strengthening of Japanese industry as well as to the further enrichment of people's lifestyles." It organizes the annual Tokyo Game Show and Japan Game Awards. Tokyo Game Show, commonly known as TGS, is a video game expo / convention held annually in September in the Makuhari Messe, in Chiba, Japan. It is presented by the Computer Entertainment Supplier's Association (CESA) and Nikkei Business Publications, Inc. The main focus of the show is on Japanese games, but some international video game developers use it to showcase upcoming releases/related hardware. The duration of the event is four days. The first two days of Tokyo Game Show are open only to industry attendees (business) and the general public can attend during the final two days. A non-executive director, independent director or external director is a member of the board of directors of a company or organisation, but not a member of the executive management team. They are not employees of the company or affiliated with it in any other way and are differentiated from executive directors, who are members of the board who also serve, or previously served, as executive managers of the company. However they do have the same legal duties, responsibilities and potential liabilities as their executive counterparts. Final Fantasy VII is a 1997 role-playing video game developed by Square for the PlayStation console. It is the seventh main installment in the Final Fantasy series. Published in Japan by Square, it was released in other regions by Sony Computer Entertainment and became the first in the main series to see a PAL release. The game's story follows Cloud Strife, a mercenary who joins an eco-terrorist organization to stop a world-controlling megacorporation from using the planet's life essence as an energy source. Events send Cloud and his allies in pursuit of Sephiroth, a superhuman intent on destroying their planet. During the journey, Cloud builds close friendships with his party members, including Aerith Gainsborough, who holds the secret to saving their world. Game Arts Co., Ltd. is a Japanese developer and publisher of video games located in Tokyo. Originally established in 1985 as a computer software company, it expanded into producing for a number of game console and handheld systems. Its President and CEO in 2007 was Yoichi Miyaji at which time it was a member of the Computer Entertainment Supplier's Association of Japan (CESA). Its major trading partners then included Square Enix, Bandai Namco, Koei Tecmo, and Gung-Ho Online Entertainment, some of whom co-developed or produced games in cooperation with the company. Hiroyuki Ito, is a Japanese game producer, director and designer who works for Square Enix. He is known as the director of Final Fantasy VI (1994), Final Fantasy IX (2000) and Final Fantasy XII (2006) and as the creator of the Active Time Battle (ATB) system in the Final Fantasy series. Naoki Yoshida, also known by the nickname Yoshi-P, is a Japanese video game producer, director and designer working for Square Enix. He is known primarily for his work on massively multiplayer online role-playing games (MMORPGs), as chief planner on Dragon Quest X, and as director and producer of Final Fantasy XIV: A Realm Reborn. He is credited with rescuing the original Final Fantasy XIV project from its disastrous launch. Yoshida is an Executive Officer at Square Enix, the Head of Square Enix's Business Division 5 and part of the Final Fantasy Committee that is tasked with keeping the franchise's releases and content consistent. Final Fantasy VII Remake is an upcoming action role-playing game developed and published by Square Enix for the PlayStation 4. 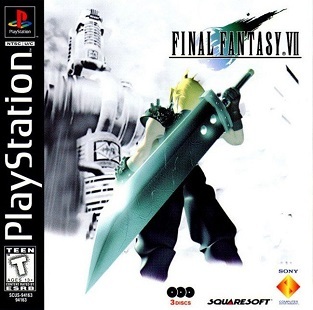 It is a remake of the 1997 PlayStation game Final Fantasy VII, retelling the original story following mercenary Cloud Strife as he and eco-terrorist group AVALANCHE battle against the corrupt Shinra megacorporation, and the rogue former Shinra soldier Sephiroth. Gameplay is planned to be a fusion of real-time action similar to Dissidia Final Fantasy, and strategic elements, and the game will be released as a multipart series. ↑ Gantyat, Anoop (June 29, 2010). "Guess What CEO Makes Four Times as Much as Nintendo CEO Satoru Iwata". Andriasang. Archived from the original on July 7, 2011. Retrieved February 20, 2011. ↑ Naoki, Asami (September 19, 2006). "ゲーム産業再活性化論〈後編〉　PS3はサーバーなんです---スクウェア･エニックス 代表取締役社長　和田 洋一氏" (in Japanese). ITpro. Retrieved February 22, 2011. 1 2 3 4 5 6 7 Edge Staff (January 6, 2010). "An Audience With: Yoichi Wada". Edge. Archived from the original on 2013-01-15. Retrieved February 20, 2011. 1 2 3 "Square Enix: February 2, 2004—February 4, 2004" (PDF). Square Enix. February 13, 2004. p. 24. Retrieved February 21, 2011. 1 2 touge (July 15, 2010). スクウェア・エニックスの社長も登場した，「ロード オブ ヴァーミリオン2」全国大会詳報。見どころ満載の8時間を徹底レポート (in Japanese). 4Gamer.net. Retrieved February 22, 2011. 1 2 3 "Directors, Auditors and Executive Officers". Square Enix . Retrieved February 19, 2011. ↑ Nutt, Christian (July 12, 2010). "Square Enix in 2010: President Wada Speaks". Gamasutra . Retrieved February 21, 2011. ↑ "Square Enix: NOTICE OF CHANGE IN REPRESENTATIVE DIRECTORS PDF" (PDF). Square Enix. Retrieved 2013-03-26. ↑ "スクウェア・エニックスの和田洋一氏が代表取締役社長を退任 (Yoichi Wada, Square Enix has resigned as President and CEO)". 4Gamer. Retrieved 2013-03-26. ↑ Sinan Kubba. "Square Enix president Wada to step down, $106M 'restructuring' loss [update]". Joystiq. Retrieved 2013-03-26. ↑ Tach, Dave (June 26, 2013). "Former Square Enix CEO Yoichi Wada now Chairman of the Board". Polygon . Vox Media . Retrieved June 19, 2015. ↑ Sato (June 19, 2015). "Former Square Enix President Youchi Wada is no longer part of the company". Siliconera. Retrieved June 19, 2015. ↑ Blake, Vikki (June 19, 2015). "Yoichi Wada leaves Square Enix". Destructoid . Retrieved June 19, 2015. ↑ Cullen, John (March 23, 2012). "Yoichi Wada stands down as CESA CEO". VG247 . Videogaming 247 Ltd. Retrieved June 19, 2015. ↑ Robson, Daniel (September 20, 2012). 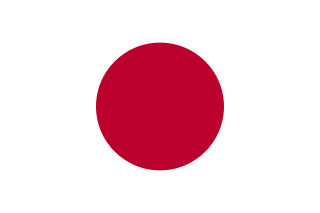 "TGS: What the Japanese game industry needs". IGN . j2 Global . Retrieved June 19, 2015. 1 2 "Former Square Enix President Yoichi Wada joins Metaps Board of Directors". Metaps. May 11, 2015. Retrieved June 19, 2015. ↑ Rose, Mike (September 19, 2014). "Shinra is a new cloud gaming company from Square Enix". Gamasutra . UBM plc . Retrieved June 19, 2015. ↑ Brown, Peter (March 13, 2015). "The Future of Shinra and Cloud Gaming". GameSpot . CBS Corporation . Retrieved June 19, 2015. ↑ "Square Enix shutting down cloud gaming business Shinra Technologies". Polygon. Retrieved 2018-05-14. ↑ Jordan, Jon (May 11, 2015). "Ex-Square Enix CEO Yoichi Wada joins Metaps' board". Pocket Gamer . Steel Media. Retrieved June 19, 2015. ↑ Parfitt, Ben (February 27, 2009). "JAPAN: R4 cards banned". MVC. Retrieved February 20, 2011. ↑ French, Michael (November 27, 2009). "Consoles set for extinction claims Square Enix's Wada". MVC. Intent Media (565): 3. Retrieved February 20, 2011. ↑ Gantyat, Anoop (February 10, 2010). "Square Enix CEO Yoichi Wada is on Twitter". Andriasang. Archived from the original on July 7, 2011. Retrieved February 20, 2011. ↑ Wada, Yoichi. "和田洋一 (yoichiw) on Twitter" (in Japanese). Twitter . Retrieved February 20, 2011.